I have been lettering comics for 30 years now. I love the job, let there be no doubt about that. BUT…! Per page I get about 7 to 10 euro’s, and sometimes less. The price depends on the amount of text, the publisher, the size of the lettering, the type of letters, and some less definable aspects. It takes me between half an hour and an hour to letter one page. I have no idea how many books I have lettered, but it must be a few thousand. Some publishers send me a copy of the book when it is published, many do not. Only a handful of times in all those years I got more than two copies. More often I had to ask for one copy, which I then got months after the publication. Many publishers only paid after several months and after several telephone calls or letters. Some never paid at all. Only once in my life I got extra money for a re-print. Some publishers refused to mention my name as a letterer in the colophon, probably for that reason. Most publishers stopped giving me work when it could be done cheaper with a computer, and never cared to explain this to me. There is no reason to complain about all this, because nobody forced me to do lettering. And like I said, I love to do it. And I take the treatment as the weather. Maybe I sound a bit bitter, but I am not really. I could make an equal long list of all the good aspects of lettering comics. Today I was at the presentation of a comic book that is published by the Museum Jan Cunen in Oss. It is a book for 10 to 12 year old children, in which a comic character is asking six artists what art is. In between the chapters, some of their art is shown and described by the artists themselves. 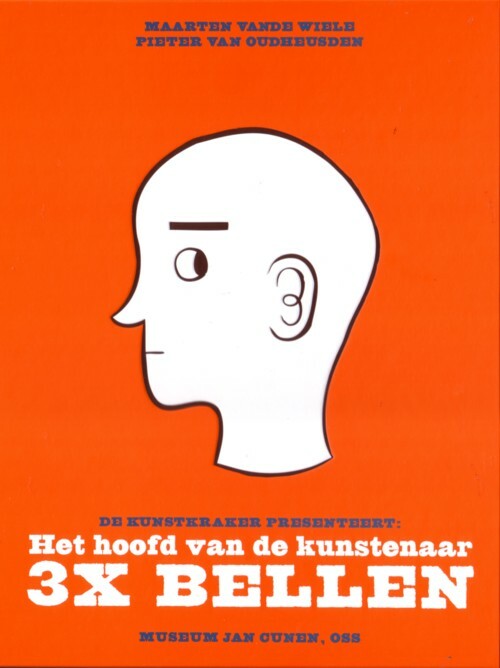 A beautiful book, written by Pieter van Oudheusden and drawn by Maarten vande Wiele. I was asked to do the lettering, which I gladly did. I got per page 20 euro’s (!) and was treated like a king at the presentation. I got flowers (first time ever!) and ten (!!!) copies of the book. And I had a great afternoon, meeting nice people. I happen to know one of the artists, Marc Nagtzaam. I met him in the eighties, when he was still in school. He is now a famous artist, but I don’t follow his career. (I will Google his name after I have finished this story.) Marc is a very pleasant person, and always interesting to talk to. More about him later, because I have some great zines that he did long ago, and also some cassette tapes that are worth sharing with you. After a lunch, a speech and a tour along the exhibition, we were taken to a theatre, where we saw a play, based on the comic book. In the play was a song that I know all to well, because I have it on a CD by one of my favourite singers, Mathilde Santing. In case I didn’t made myself clear: this was a only-once-in-a-year day! I gave some of the books to our children and their friends, who happened to be here when I came home, but is still have five copies left. Take your chance!